Originated from the house of Martin in 1972 by Pierre-Fran̤ois Martin. What started as box-making and trunk-making, the house of Martin quickly became a favorite among French aristocracy. It has instilled over time a reputation for quality and prestige. Their bags are easy, light, and well-made, with emphasis on functionality. Truly, a legacy of excellence. Why pawn your preloved Goyard with PawnHero? With Goyard’s wide variety of stylish and luxurious bags, we at PawnHero—the first online pawn shop in the Philippines accept valuable items such as these. 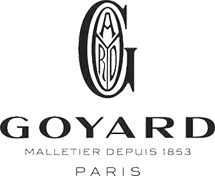 If you are short of cash, pawn or sell your pre-loved Goyard items to us and we’ll give you high appraisal and low-interest rates that no other pawnshop can offer. In just three easy steps, pawn or sell your Goyard items to us and you’ll feel at ease with our zero service charge and zero penalty costs for late payment or loan renewals. So make PawnHero your most reliable source in overcoming your short-term cash needs!